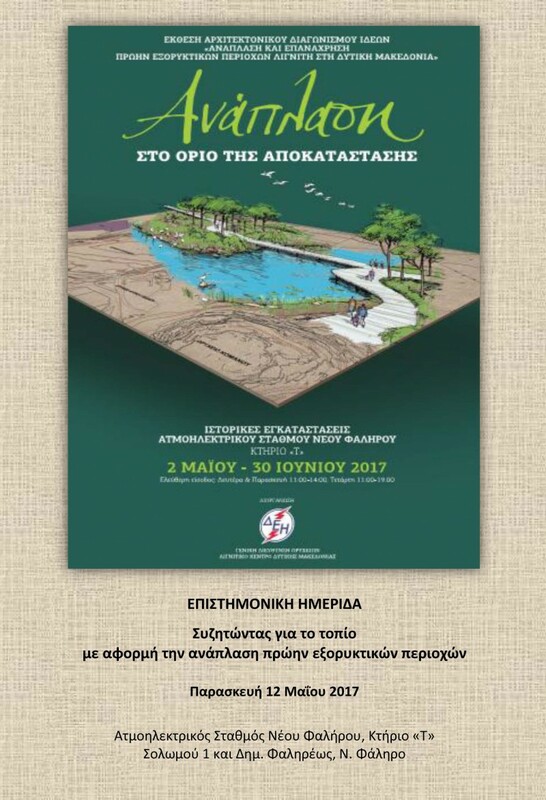 "Discussing the landscape on the occasion of the regeneration of former mining sites" is the theme of the day-long symposium organised by the Hellenic Public Power Corporation (HPPC / DEI). The conference is organized on the occasion of the exhibition of the winning proposals of the competition "Rehabilitation and reuse of former lignite mines in the Western Macedonia region", that was launched in 2015 by the Directorate of Studies of the Lignite Center of Western Macedonia in collaboration with the General Department of Mines (HPPC SA). "The symposium aims to broaden the debate on landscape, and in particular on the international practices, tools and strategies of landscape planning, that will help to improve the quality of life and the growth of local communities." 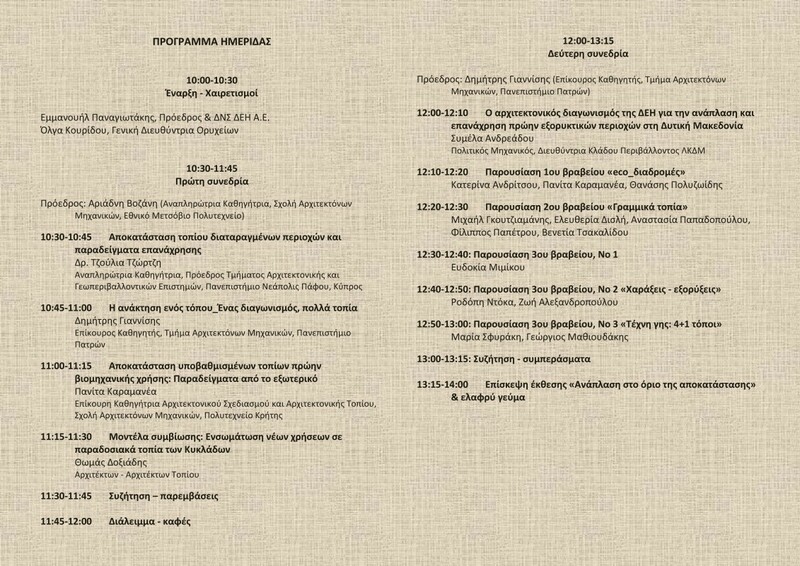 Thomas Doxiadis's lecture "Models of Symbiosis: Incorporating new uses into traditional landscapes of the Cyclades" will present research and work of doxiadis+ on methods for the rehabilitation of existing landscapes with the principle of symbiosis. On the second part of the symposium, the winning proposals of the competition will be presented. 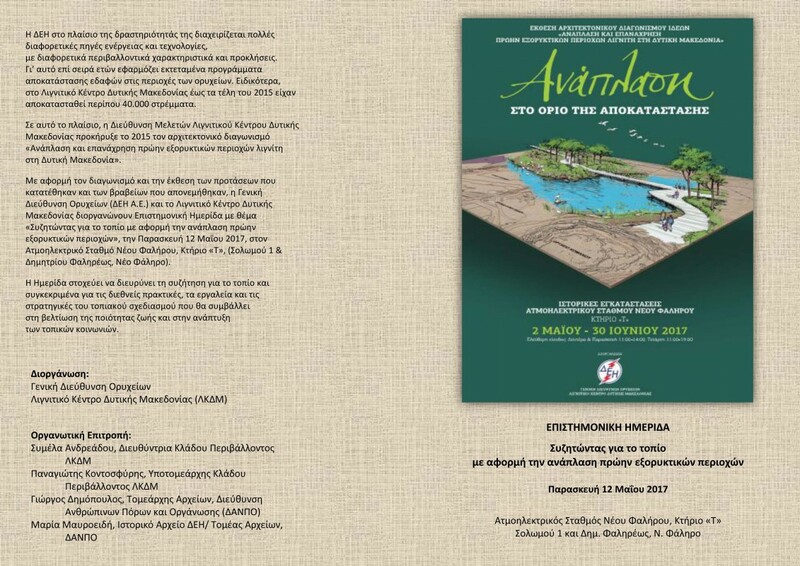 Thanasis Polyzoidis, external collaborator of doxiadis+, is a member of topio7 architectural team, that won the 1st prize on the competition, and will present their proposal "eco-corridor".